In materials research, chemistry, biology, and medicine, chemical bonds, and especially their dynamic behavior, determine the properties of a system. These can be examined very closely using terahertz radiation and short pulses. 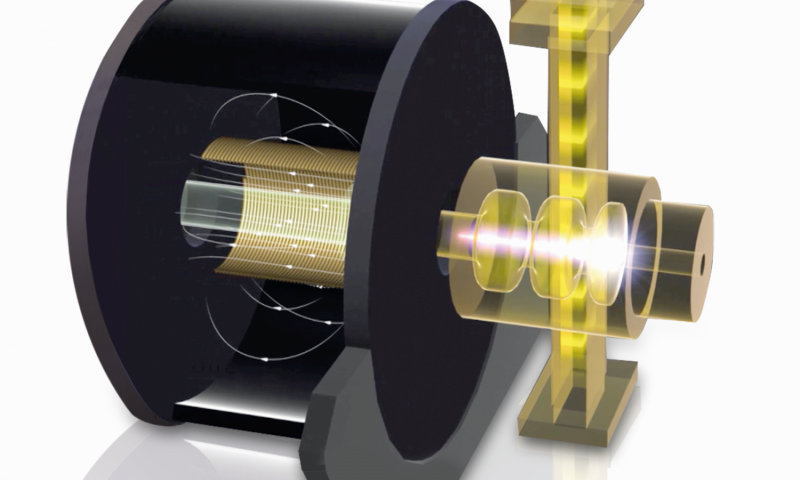 KIT's FLUTE accelerator will be used for the development of new accelerator technologies for compact and powerful terahertz sources that are supposed to serve as efficient research and application tools. "The KIT scientists excel in their ability to come up with creative ideas and explore new fields of application," as Professor Holger Hanselka, President of KIT, points out. "With the compact FLUTE accelerator, KIT opens the door to a new tool that will enable biologists, analytical chemists, and materials scientists to obtain outstanding insights." The FLUTE facility (this abbreviation is derived from its German name: Ferninfrarot Linac- und Test-Experiment) is a development platform for accelerator physics studies. It will serve as a test facility for methods that allow, in a first step, to better understand, measure, and control the complex dynamics of ultra-short electron bunches. Only very compact electron bunches can generate intensive, brilliant, and coherent terahertz radiation. The special challenge faced when designing accelerators such as FLUTE is to keep the electron cloud so compact during the acceleration process that its expansion is smaller than the wavelength of the generated electromagnetic radiation. Only then, the waves overlap each other, forming pulses of high intensity with a duration of picoseconds or femtoseconds. In the long run, control of the electron bunches must be improved in such a way that the terahertz radiation can be adapted perfectly to the intended application. Terahertz radiation could open up new domains of application for which the neighboring visible light and radio waves are unsuitable. As a research infrastructure, FLUTE will also be used for the development of terahertz radiation measuring methods that can be employed in materials and life sciences. Protein oscillations can be examined just as well as the behavior of superconductors or novel semiconductors. Within the FLUTE accelerator, whose length is approx. 12 meters, the electrons are accelerated to reach an energy of up to 50 MeV. The electron cloud is compressed to a few micrometers so that radiation with a frequency of 30 terahertz or more can be generated. Besides the Institute for Beam Physics and Technology at KIT, development partners from all over Europe, above all the Swiss Paul Scherrer Institute (PSI), participate in the FLUTE project.